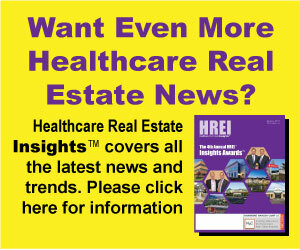 The largest healthcare-focused real estate investment trusts (REITs), have long been and continue to be one of the most important – if not the most important – buyers of medical office buildings (MOBs). Yet, for a part of late 2017 and early 2018, the stock prices of the country’s largest, publicly traded healthcare REITs were sluggish, causing them to, at times, be less aggressive when it comes to acquiring medical office buildings (MOBs). The REITs have another reason for being more selective concerning the deals they pursue, as prices for MOBs are still at or near historic highs while capitalization (cap) rates, or first-year estimated yields, remain near historic lows. Most of the bigger deals lately have been snapped up by private equity investors and funds, as well as foreign capital sources in partnership with domestic firms. Mr. Thomas was one of three REIT executives to take part in a panel discussion titled “Direct from the REIT C-Suite” during the recent 2018 BOMA International MOB + Healthcare Real Estate Conference, held May 9-11 in Houston. 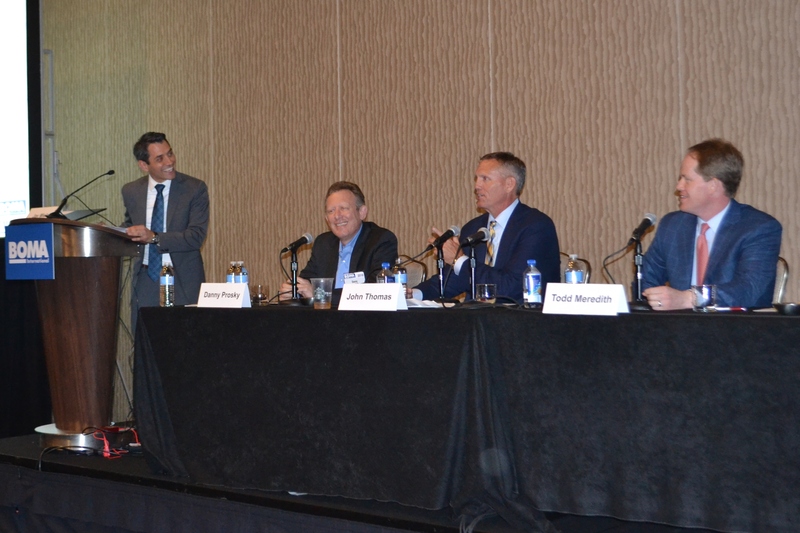 The other REIT executives on the panel were Todd Meredith, president and CEO of Nashville, Tenn.-based Healthcare Realty Trust Inc. (NYSE: HR), which is primarily focused on MOBs. and Danny Prosky, president and chief operating officer of Irvine, Calif.-based Griffin-American Healthcare REIT IV, a non-traded REIT with a diversified portfolio. The panel was moderated by Jay J. Miele, managing director with New York-based Hammond Hanlon Camp (H2C), an investment banking and advisory firm that works closely with health systems and other organizations involved in healthcare. The three REITs represented on the panel are certainly impressive investors in MOBs and HRE properties.